Posted on March 21, 2013	by . If you want to make the big leap from renting to owning a home, there are certain things you need to remember and practice to enjoy this new financial and emotional venture. Although you may have an ideal location and can visualize your dream house in a first class subdivision, it’s still important to face this challenge realistically. Read through these tips about buying real estate before surfing on advertisements for house and lots for sale in Bacolod City. Check your credit rating and meet with your lender. The money you can borrow to purchase your new lot or house will be based on a number of factors such as your income, assets, debt-to-income ratio, your job stability, and savings. Set a budget and find out how much you can afford to borrow or spend on your Bacolod City house and lot. Consult with financial experts or your banker about an affordable budget for the principal, interest, home insurance and taxes. You must also remember to spare extra budget for homeowner’s association fees and maintenance expenses. Find a reputable Negros real estate company and deal with accredited and licensed agents and brokers only. Your provider must be experienced, knowledgeable and familiar with real estate practices in Negros. If you are a first time buyer, it is all the more important to find a trustworthy property broker or selling agent. Pick a good neighborhood and location for your home or land purchase. Some locations will increase the value of your property while other communities may deteriorate in time and decrease your home’s value. Choose a subdivision developed and run by a reputable company. Look for a place where you will be happy and safe. Stay away from neighborhoods with lots of graffiti, uncollected trash and loitering drifters. Hire an inspector or ask an architect friend to accompany you to examine the property inside and out. Never buy a house without having a professional inspect it first. Purchasing an old house can be risky. Your inspector will need to check for structural soundness, termites, electrical and plumbing defects. If you are buying a lot for sale in Bacolod City, find out if the area is prone to flooding during the rainy season. Buying your first home or subdivision lot can be exhilarating, but you should never let the excitement of the experience blind you to factors that can be disadvantageous to you. Talk to a reliable Negros real estate agent and get an inspector to check the house you might eventually buy. Minor defects in a home can also give you leverage to negotiate for a cheaper price. 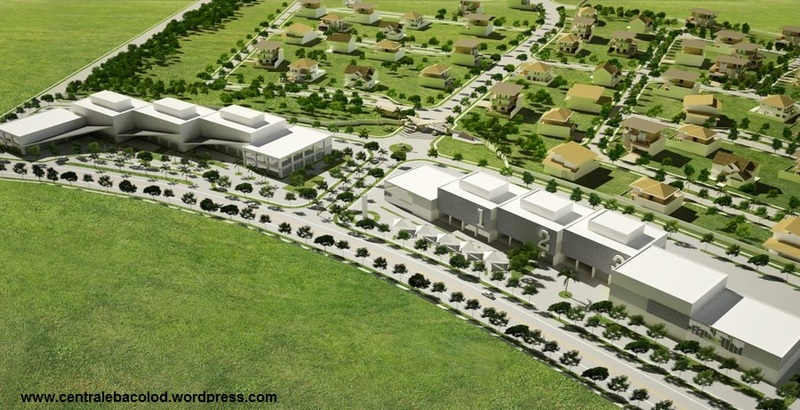 This entry was posted in Centrale Bacolod, Negros Real Estate, Real Estate Tips and Advice and tagged Bacolod City Lots for Sale, Centrale Bacolod, centrale lots for sale bacolod, Lots for sale Bacolod, Negros Real Estate, Real Estate Tips and Advice. Bookmark the permalink.